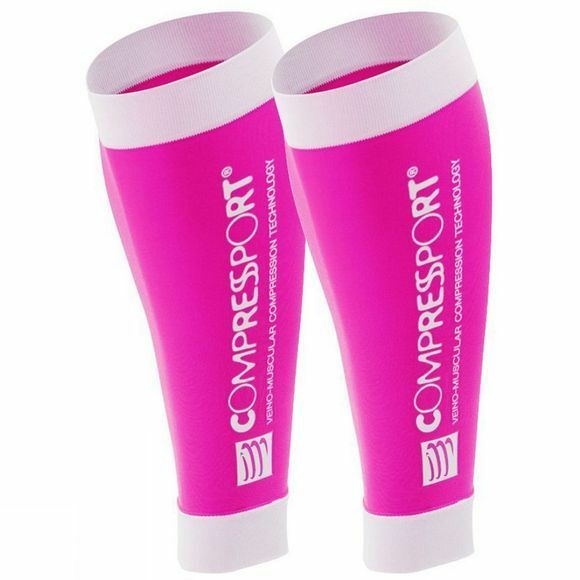 The Calf Guards R2 (Race & Recovery) are made from ultra light Compressport fabric designed for more effective venous return from the feet to the heart which considerably reduces the build up of toxins in the muscles. This is particularly effective during prolonged activity. Muscles also benefit from improved oxygenation, which helps to reduce the possibility of cramps and injuries. 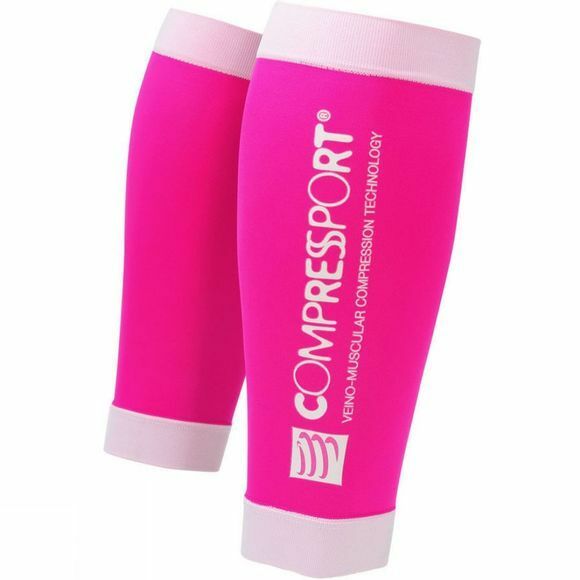 The Compressport fabric also optimises heat exchange and wicks away moisture, helping to regulate your body temperature.